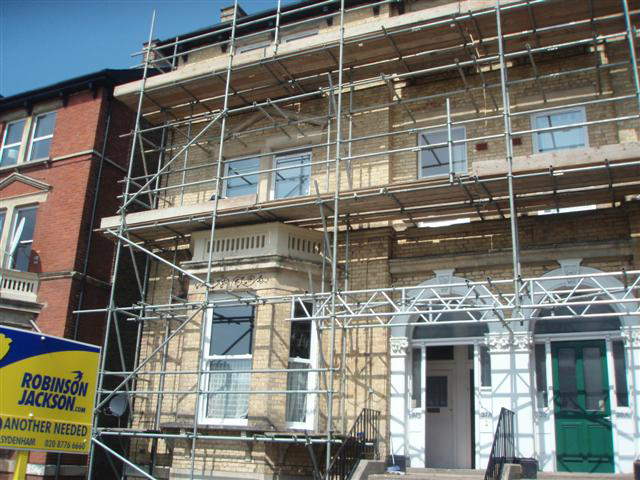 A four storey Victorian townhouse in south London with damaged decorative stone lintels, sills, mullions and cornices to bay windows and other window and door openings. 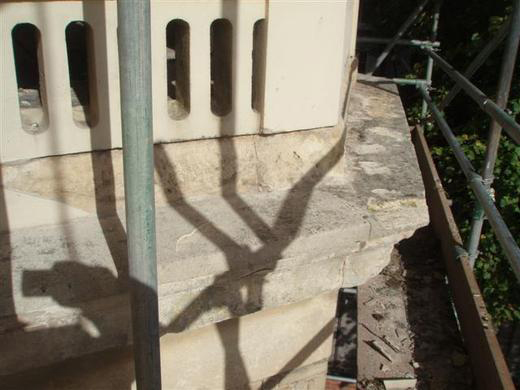 Following a site survey by the Bersche-Rolt surveyor, Bersche-Rolt site personnel cut away the damaged stone to expose a sound base. 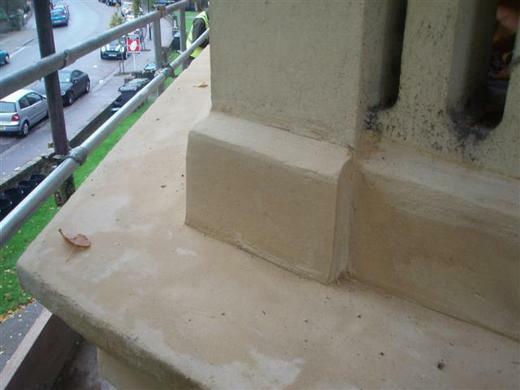 Stainless steel reinforcement was fixed to the existing masonry before the placement of restoration mortar, shaped to match the original decorative profiles. 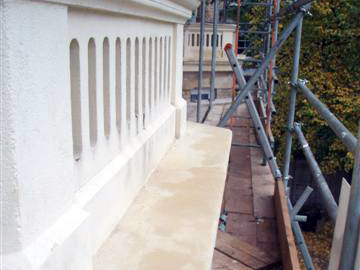 A fairing coat was then applied to provide a uniform finish to all areas. 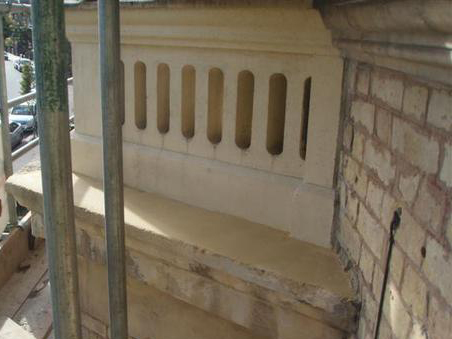 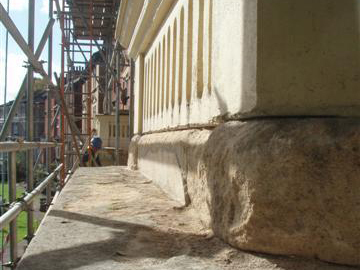 A dropped section of a stone lintel was jacked and resin fixed back into position, after which the crack was repaired to provide a completely concealed solution.